I recently spent five days in Tehran, two of them attending the Sixth International Conference on the Palestinian Intifada. 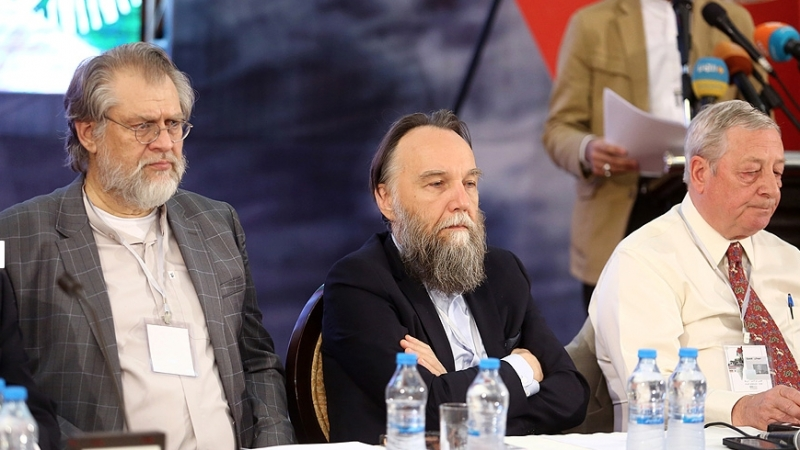 The Conference brought together nearly 1,000 people from roughly 80 nations around the world, including heads of parliament and other dignitaries. All leading Palestinian resistance groups sent high-level representatives. These included Hamas, Islamic Jihad, Fatah, and the Popular Front for the Liberation of Palestine. Such disparate voices have managed to get more or less on the same page during the past few months, thanks in part to the Iranian commitment to bringing together the main currents of Palestinian freedom fighters. 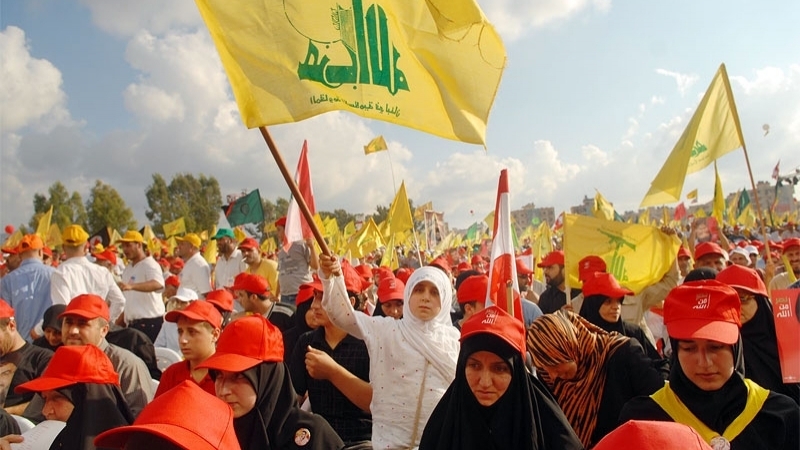 Hizbullah, the Lebanese group fighting Israeli occupation (and ISIS) was also represented. Ayatullah Khamenei opened the Conference with a powerful speech summarizing the problem: “(Israel’s) entity and identity are dependent on the gradual destruction of the entity and identity of Palestine.” In other words, Zionism equals genocide. 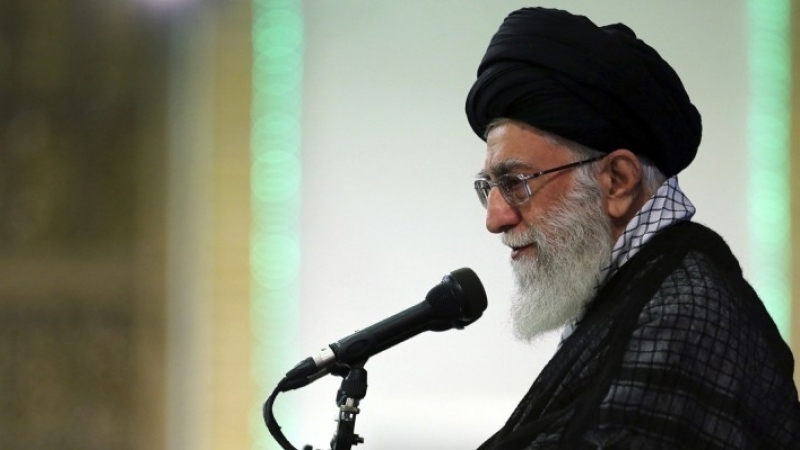 The Iranian leader termed Zionism a “cancerous tumor” and said the cure is fearless resistance, which will, in stages, gradually put Israel into an untenable situation, leading to a peaceful ending to the Zionist experiment in aggression, wholesale theft of land and resources, and Jewish-superiority apartheid. The Conference aimed at bringing together all those struggling to liberate Palestine — especially Muslims, the main victims of the Zionist-instigated “clash of civilizations.” Participants recognized that the Zionists have mounted a divide-and-conquer strategy against the Muslim Ummah, and that Islamic unity focused on the need to liberate Palestine is the only way forward. While in Tehran I was fortunate enough to rendezvous with two of the Muslim world’s most important thinkers: Sheikh Imran Hossein, the traditional Islamic scholar and noted eschatologist; and Youssef Hindi, a young Franco-Maghrebian intellectual whose work on Zionism and messianic eschatology deserves wider circulation. My conversation with Hossein and Hindi inspired me to re-think the famous “black banners of Khorasan” ahadith that have garnered increasing attention in recent years. These and similar ahadith have been used by Daesh and other takfiri terrorist groups as a recruiting tool. Daesh has made the black flag infamous — by associating it with mass executions of innocents, drug-crazed ferocity, devouring internal organs of slain enemy soldiers, and targeting fellow Muslims (especially those dedicated to liberating al-Quds). The black flag of Daesh is a false flag. It was probably designed by the same Zionist psychological warfare experts behind other anti-Islam PR stunts, including most of the iconic “terror attacks” that have rocked the West starting with 9/11. 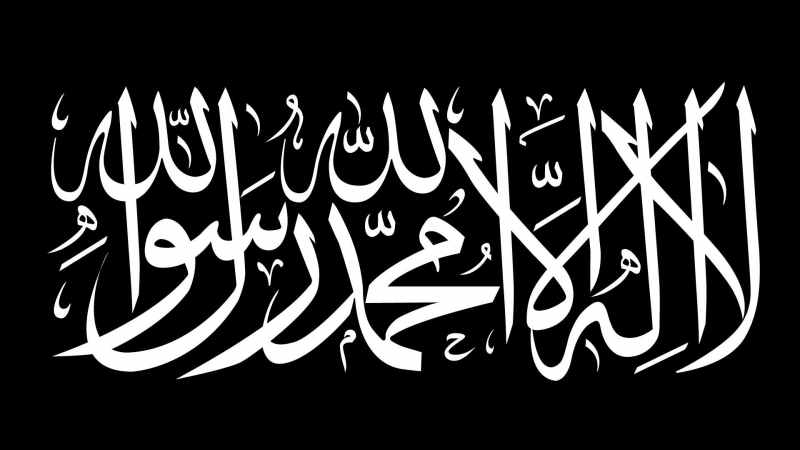 The “black flag of Khorasan” concept terrifies the Zionists. They have responded by creating a false flag “Islamic extremist” group, Daesh, to carry a perverse simulacrum of that banner. And so the 95% of the world’s Muslims who loathe Daesh are being conditioned to also loathe the black flag that will one day liberate Palestine. What better way to defuse the Khorasan prophecy, and prevent it from becoming “self-fulfilling”? Simple common sense tells us that Daesh — the ally of Israel whose fallen fighters are treated in Israeli hospitals and visited by Netanyahu — is not the army from Khorasan destined to liberate al-Quds. What’s more, Daesh is not even from Khorasan! It was created at Camp Bucca, Iraq (under the noses of American and Zionist handlers) by the self-styled pseudo-caliph al-Baghdadi. Camp Bucca is a long, long way from Khorasan. And Daesh is a long, long way from being an authentic Muslim army. And yet, as Sheikh Imran Hosein asserts, we seem to be nearing the end times, the Akhir-uz-Zamaan. 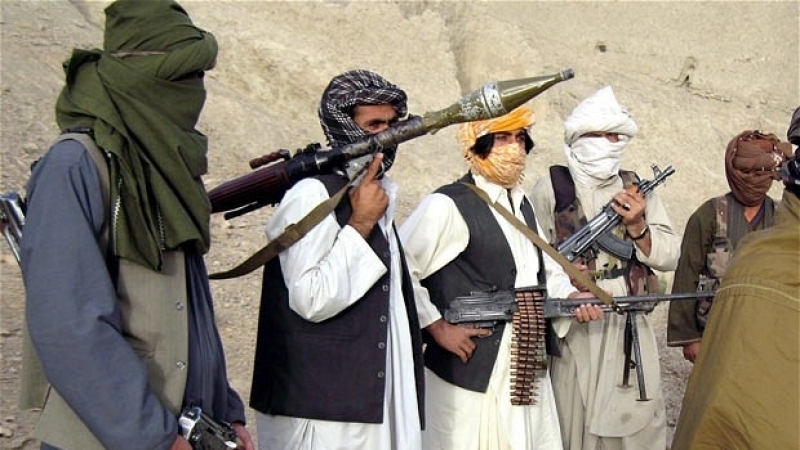 The liberation army from Khorasan should be coming fairly soon. What kind of army could it possibly be? Let us begin by asking: What is Khorasan? Today, it is an important province in Iran, whose capital, Mashhad, is that nation’s second largest city, best known for the shrine of Imam Reza. Khorasan can also refer to a larger area that includes much of Afghanistan as well as eastern Iran. These two meanings of the term Khorasan — the province in Iran, and the larger area in Afghanistan — provide what could be an important clue to the meaning of the “black flags” prophecy. For Khorasan is in the exact center of the geographical space that has produced the two most important Islamic liberation armies of our time, both of which emerged in 1979: The forces of the Islamic Revolution in Iran that overthrew the Shah’s US-puppet regime and set off the global Islamic Awakening; and the forces of the Afghan liberation struggle that expelled the Russian Communists from that nation, and in so doing put a dagger in the heart of both the Soviet Empire and the Communist ideology that sustained it. One of the few Western intellectuals who had an inkling of the significance of the 1979 Islamic Revolution was Michel Foucault. A product and exemplar of Western decadence, therefore well-qualified to notice and analyze it (and predict its downfall), Foucault saw that the revolutionary return of the sacred was a phenomenon of world-shaking import. Extending Foucault’s insight, we could say that in the wake of the 1979 upheavals around Khorasan, the world’s two dominant ideologies, both of them basically godless, materialistic manifestations of heretical-satanic Freemasonic-Jewish messianism, were crumbling — while a new, religiously-grounded culture, with Islam at the center, was rising to replace them. So why didn’t these armies out of Khorasan quickly liberate al-Quds and re-establish Islam as our planet’s central religion and culture, and protector of other revealed religions? The obvious one-word answer is: disunity. The West employed a brutal “containment” strategy to isolate the Islamic Republic of Iran and divide it from its Muslim neighbors. It also used a similar divide-and-conquer strategy in Afghanistan, arming and funding the most extreme and intolerant groups and the most corrupt warlords in order to prevent any Islamic unity from emerging. Today, “West Khorasan” (the Islamic Republic of Iran and its allies) and “East Khorasan” (the Afghan freedom fighters and their allies) are divided. This seems to me to be primarily due to the Zionist Empire’s successful use of Wahhabism and other obscurantist approaches to deceive Muslims and spread Shiaphobia and Iranophobia. The Qur’an tells us: “And say: ‘Truth has (now) arrived, and Falsehood perished: for Falsehood is (by its nature) bound to perish.’" (17:81). When enough of the world’s Muslims awaken to see through the deception that has been foisted on them, and recognize that all people of God must unite against Dajjal and his plan to install himself as world dictator atop a throne in Occupied al-Quds, then perhaps — insha’allah — East Khorasan and West Khorasan will unite, and the genuine flag of genuine Islam will be planted in al-Quds by a genuinely Islamic liberation army.